If you’ve just had your performance review, and you are breathing a sigh of relief that everything went well it is important you don’t make the same mistake that 73% of other managers make – you go back to doing what you have already done. Your performance review is the one chance you may have in 12 months to act and get that promotion you have been wanting for years. 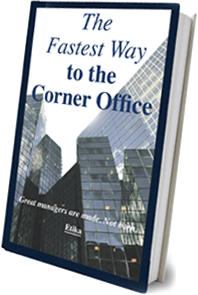 It offers examples of goals for employees in performance reviews that otherwise would be missed. Your performance review is an opportunity to understand what the examples of goals for employees in performance reviews actually are. This is your boss, and the company you work for, telling you how well you are doing, what you need to do to improve, but most importantly, how you can really excel. However, it is important that you don’t make these common mistakes. 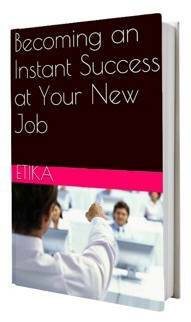 Do you get the idea that you are well-appreciated and have got a lot of potential? Does this mean you should just keep doing as you are doing? No! Do you believe that you should continue doing the same things that prompted your boss to say what they said? Not at all! You’ve been given a “tick of approval” so should you try to do even more of what you’ve been doing so far? No! Should you continue to do what you are doing and perhaps increase some of what I’ve been doing? No. Your performance review should never be seen as a pat on the back. You should look at it very differently. It should be seen as a new direction that will help you move up to a senior position in your company, and here’s how. While your boss is explaining to you what it is that you are doing right, don’t sit and smile, and then nod. Be truly present and listen very carefully. You might be missing something important. Try to interpret and read between the lines because your boss might not be explaining what you need to do to get a promotion clearly, but rather just saying you are doing the job you are in well. Again this comes down to listening carefully. If you are expecting to be told you did very well on a particular project, and you hear it don’t make the mistake of tuning out. Instead, listen to what is said about areas where you need to improve and make relevant notes. Just because you heard something said doesn’t mean that is the way it was meant, and don’t make conclusions based on what you think you heard. Instead, be inwardly critical of the praises your boss is giving you, and listen for ways where you can improve. When you are deciding which job to apply for, and in which direction you want your career to go it is important that you make decisions based on solid, reasonable and clear conclusions. You may be on good terms with your boss, but this doesn’t mean you should take everything they say at face value. Instead, review your own performance and accept that changes need to be made if you are going to get the promotion you deserve. Wishes and dreams are one thing, but a solid game plan that is designed to get a promotion is another. Spend the time to plan out what you need to do and when. Put in reasonable time frames and, if needed, work extra hours to make sure you reach these goals. Wake up every day and review your game plan. Make sure that you are on task, and know exactly where you should be. That way you will eventually get the promotion you want. Diligently following these steps will help turn your annual performance review into a promotion action plan. 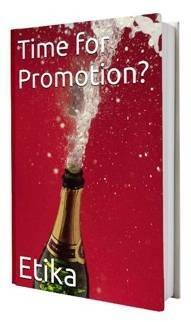 This will raise your promotion opportunities to the 27% who will succeed.